In the series of comprehensive compilations on the virtues and qualities, as prescribed by Sri Aurobindo and the Mother necessary for doing Yoga, we present sixth virtue in this book ‘Faithfulness in Sadhana’. 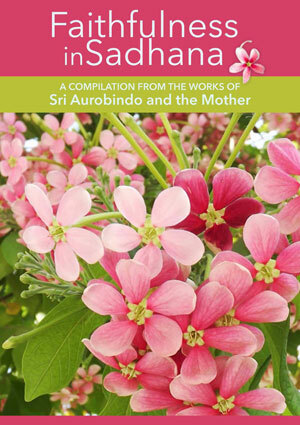 The quotations in this compilation are taken from the volumes of the Complete Works of Sri Aurobindo (CWSA), and the Collected Works of The Mother (CWM). What is Faithfulness • True Faithfulness Is Faithfulness to the Divine • Faithfulness Is the Characteristic of the Psychic Being • The Indispensable Virtue for the Ashramite Is Faithfulness • What Prevents Men from Being Faithful? • Unfaithfulness to the Divine and His Work • Faithfulness in Sadhana • Prayers on Faithfulness • Other Quotations on Faithfulness, etc. This e-book is published by AuroPublications, and is available for free download.